Pure Light Moisturizer SPF 50 Reviews: Is It Suitable For Your Skin? Dermalogica Pure Light SPF 50 is marketed as an advanced, protective daytime treatment, which is meant to help shield the skin from the sun’s harmful rays as it moisturizes. Applying sunscreen to the face can be an unpleasant experience, but it’s necessary if you want to protect your skin from the sun and reduce the signs of aging. Dermalogica Pure Light SPF 50 is a lightweight, moisturizing sunscreen, which is meant to give you optimum protection as it penetrates the skin with hydrating ingredients. 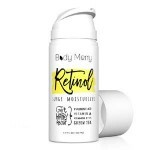 This product prevents future discoloration from occurring on your face, thanks to its inclusion of broad spectrum SPF 50, and deeply moisturizes the skin with Hyaluronic Acid. For best results, Dermalogica recommends first applying their C-12 Pure Bright Serum and layering Dermalogica Pure Light SPF 50 over top of it. 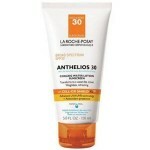 Smooth a generous amount of this sunscreen over the face and neck, avoiding the delicate skin around the eyes. Dermalogica recommends applying this product and allowing it to absorb into the skin for at least 30 minutes before going out into the sun. 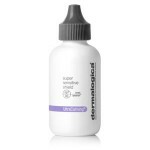 Dermalogica Pure Light SPF 50 retails for $65.00 per 1.7 oz. of product on several very well known beauty retailer websites. Avobenzone (3%): This ingredient is commonly found in sunscreena and helps to protect the skin from the sun’s harmful UVA rays. Octinoxate (7.5): This ingredient is a UVB-absorbing agent, which helps to protect the skin against sun damage. Hyaluronic Acid: This well-known anti-aging ingredient deeply penetrates the skin and promotes moisture retention. This sunscreen has a sufficient amount of SPF for optimum protection. 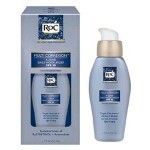 This product moisturizes as it protects the skin. This product is made by a well-known brand in the skincare industry. This product is very expensive, which may cause people to skimp on applying a sufficient amount. This sunscreen contains several fragrant ingredients, which may cause irritation. Customers claim this product caused their skin to tighten and dry out. Anyone who wants to get serious about anti-aging knows that sunscreen is an absolute must, the higher the SPF, the better. Dermalogica Pure Light SPF 50 has the proper amount of SPF, but there are several issues we’d like to address before you consider purchasing. This sunscreen is extremely expensive compared to other products on the market. 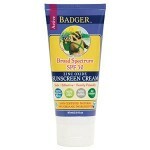 This may prevent customers from liberally applying this sunscreen as necessary for optimum protection. This sunscreen also contains several fragrant ingredients, including lavender, eucalyptus, and ylang ylang oils. These ingredients may smell pleasant, but over time they can irritate the skin and may make customers’ skin more vulnerable to sensitivities from the sun. We’d recommend looking for a reasonably priced, fragrance-free sunscreen for your face this summer. Dermalogica Pure Light SPF 50 is available on several well-known beauty retailer websites with very reasonable return policies. As long as you have proof of purchase, you may return this product for a full refund as long as it’s returned within 30 days.